matter was the appeal of Mr. Renaldo Alleyne who was convicted of manslaughter after 6 young women died when the Campus Trendz Mall was firebombed during a robbery in 2010. Mr. Alleyne had been sentenced to six concurrent life sentences. The hearing was broadcast live, as are all the hearings from the Court. Although the Court will be on hiatus, this does not mean the judges and staff are without work. During this period, the judicial officers prepare for upcoming cases and hold case management conferences on current matters. Judicial reform work also continues during this period. The CCJ Academy for Law, for example, will be staging its 5th Biennial Conference, in partnership with the General Legal Council, from December 13 to 15, 2018 in Kingston Jamaica. The Conference is being presented with the support of the Judicial Reform and Institutional Strengthening (JURIST) Project, the Caribbean Development Bank, CaribExport and Scotiabank Jamaica and will feature over 50 international and local speakers. The President of the Court, the Hon. Mr. Justice Adrian Saunders is giving a keynote address and the Hon. Mr. Justice Denys Barrow is presenting a paper on ‘Judicial Delay as Misbehaviour’. from courts and judicial officers throughout the region. The Bench Book will be an excellent resource document for judges and magistrates and will provide a template for judiciaries to adapt for their unique situations. Additionally, the Caribbean Association of Judicial Officers, UN Women and the JURIST Project collaborated earlier this year to launch a Gender Protocol template which the Judicial Education Institute of Trinidad and Tobago (JEITT) has developed for use by Judicial Officers in Trinidad and Tobago. The JEITT launched the Trinidad and Tobago Gender Protocol on 27 November 2018. The CCJ is also preparing to launch its second Strategic Plan early next year. The new Plan will cover the period 2019-2023. The Plan will include updated vision and mission statements as well as new core values for the 13-year-old organisation. 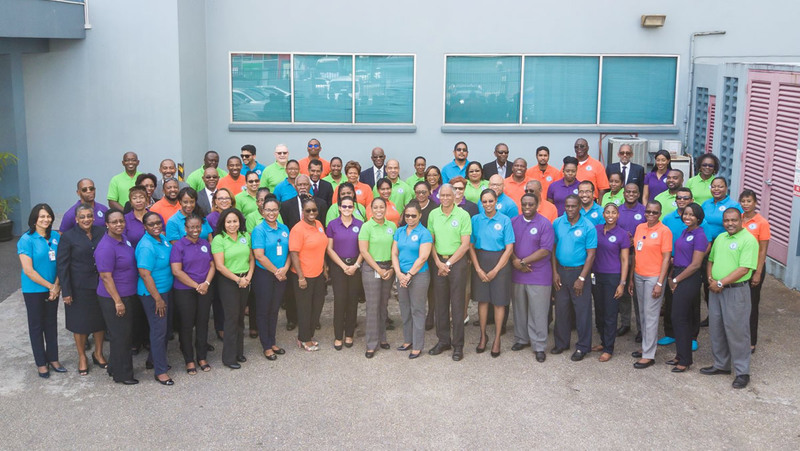 The Court’s units are currently preparing work plans, which will be broken down to work plans for each CCJ employee, to align with the Court’s overall strategic plan. Why are Dominicans being attacked by a Special Police Gang?